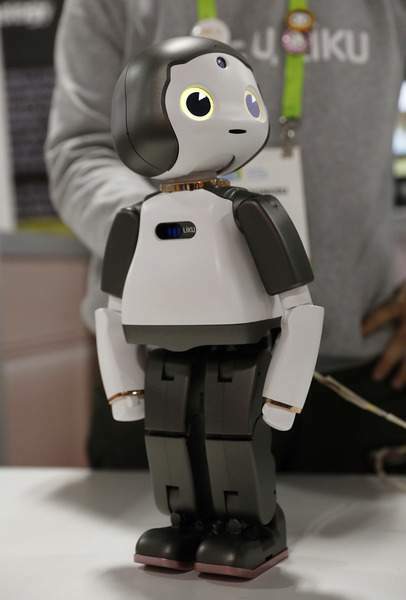 Associated Press photos The Walker robot stands in a doorway during a demonstration at the Ubtech booth at CES International on Wednesday in Las Vegas. The Liku robot is on display at the Torooc booth at CES International. 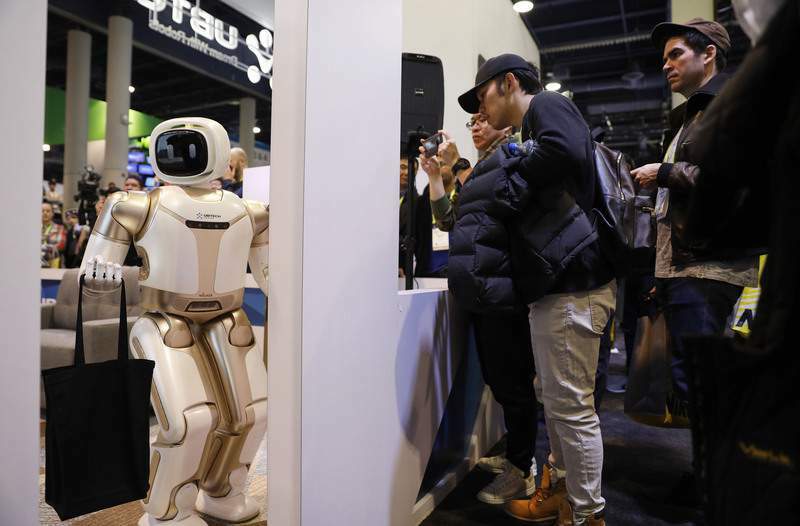 LAS VEGAS – Robots that walk, talk, pour beer and play pingpong have taken over the CES gadget show in Las Vegas again. Just don't expect to find one in your home any time soon. There are so many delivery robots at CES that it's easy to imagine that we'll all be stumbling over them on the sidewalk – or in the elevator – before long. Zuberi says it's among the new robot trends with the most promise because the field is drawing on some of the same advances that power self-driving cars. But it's hard to tell which – if any – will still be around in a few years. A similar office courier called the Holabot was unveiled by Chinese startup Shenzhen Pudu Technology. CEO Felix Zhang says his company already has a track record selling robots in China, where its Pudubot robot – which looks like shelves on wheels – navigates busy restaurants as a kind of robotic waiter. Nearly all of these robots use a technology called visual SLAM, short for simultaneous localization and mapping. Most are wheeled, though there are outliers – such as one from German automotive company Continental, which wants to deploy walking robotic dogs to carry packages from self-driving delivery vans to residential front doors. A delivery robot will need both sophisticated autonomy and a focused mission to stand out from the pack, says Saumil Nanavati, head of business development for Robby Technology. His company's namesake robot travels down sidewalks as a “store on wheels.” The company recently partnered with PepsiCo to deliver snacks around a California university campus.